I sometimes see Pinterest boards titled “Graceful Aging." They often feature stunning photos of celebrities like Ali McGraw, Meryl Streep, Carol King, Joan Baez, Helen Mirren, Sally Fields, Barbara Streisand, Jamie Lee Curtis, Julie Christie, and Diane Keaton. These icons look fabulous in the context of conventional standards of beauty. But is this what aging gracefully truly means? My mother died at the age of 63. She didn’t get much of a chance to age gracefully. My father died at the age of 86. Although he suffered from a heart attack and two strokes in mid-life, he lived modestly but well by his own definition. Until the later years, when he began to feel weary. Too many loved ones died, unrelenting physical symptoms plagued him, and loneliness became his frequent companion. In old age, he suffered more angst than grace. This suffering peaked with a gall bladder attack and consequent hospitalization. Surgery revealed cancer in another organ and my father refused treatment. Afterward, he was moved quickly to a mediocre nursing home for rehabilitation. He never had a chance to see his apartment again. I felt called to be with him during his last weeks and spent hours on end at the nursing home. The indignity of defecating into an adult diaper and waiting for an attendant to assist you. A sweet woman in a nearby room who had no legs. A mad man wheel-chairing into whatever room he wished, frightening its occupants. A hysterical new patient screaming endlessly for her husband until the tiny, wrinkled man arrived. I could only imagine the pain he felt. None of this seemed particularly graceful, but moments of kindness, humor, and joy peeked through. “This is the extreme,” you might think. Yes, it is. But when we portray one particular form of beauty as aging gracefully, we neglect the experience of so many others. No one can escape the bodily decay of aging although some may have a stronger constitution than others. The accumulation of years can bring discomfort, discouragement, and even despair - a full spectrum away from a romanticized image of aging with grace. I don’t think we should just give up and let our bodies go to pot, of course. Diet, attitude, and exercise can avert and/or positively impact chronic disease and extend your longevity. It makes sense to give the body the proper amount of attention. But as we age, let’s not over fixate on the way we look, the state of our body, and a million possible ways to improve it and by so doing overlook divine grace. Expanding your capacity to love, express compassion, and be tolerant, understanding, and forgiving. Increasing your ability to see reality as it is, accept whatever unfolds in your life, and let go in every moment. Regenerates your spirit and sanctifies your being, whatever your physical container might look like. Inspires virtuous thoughts, words and actions that uplift you and others. 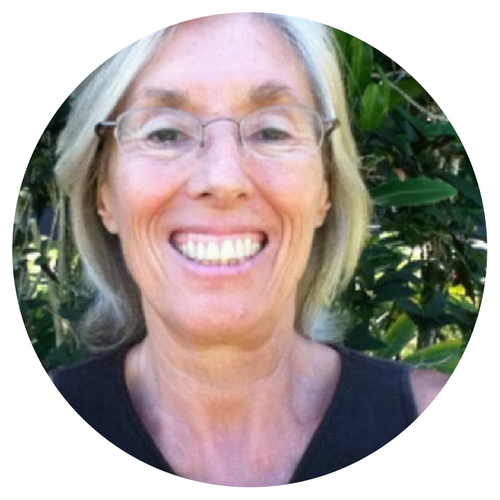 Provides the strength to face and transform the trials that naturally occur as you age. Can help you meet death with understanding and peace. Will all this perfume, makeup, and the host of modern yoga accoutrements give you profound peace of mind in your later years? I think not. I have tremendous respect for traditional forms of yoga, but some if not many forms of modern yoga remove the spirit-side so the practice becomes primarily a feel good, self-help technique. That may have its place in terms of good health, but it's limited. It takes courage to breakaway from the conventional standards of beauty and choose instead beauty that arises from within. You Are Not This Body. You Are Not This Mind. Our bodies disintegrate for a good reason: as a reminder that we are not this body, we are not this mind. 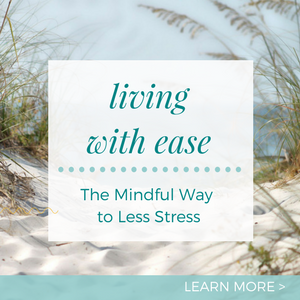 Aging provides the perfect opportunity to learn to surrender all that you've held dear. 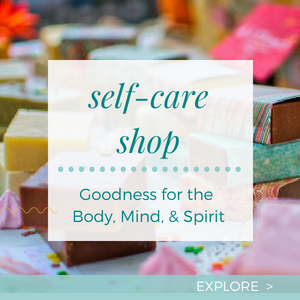 Think of it as the practice run for the moment of death, when you won't be able to take lipstick, designer clothes, or yoga supports along. You don't have to wait for old age to live in divine grace, however. The follow practices - when employed regularly - will provide an essential foundation for letting grace flow, whatever your age. 1. Don't identify so strongly with your body. Most people link the body and the self as one. This typically brings emotional pain since we’re rarely happy with our body - too fat, too thin, too wrinkled, too achy, not pretty enough, nose too big, and on and on. Even when you achieve momentary "perfection," sweat, smears, and wrinkles can destroy it in an instant. From a higher perspective, the body does not permanently exist. In every moment, it undergoes constant change at the micro level that eventually becomes apparent at the macro level. So there is no permanent, unchanging body. And since the physical body dies, it certainly is not you. One day, you’ll have to say good-bye to your body. It will be so much easier at that time, if you train now to see this body as none other than a transitory illusion. When you look in the mirror each day, ask yourself if what you see is the real you. Who, what is the real you? Contemplating this question can lead to deep insight. 2. Don't identify so strongly with your mind - your thoughts, emotions, and sensations. Most people believe they are their thoughts, emotions, and sensations and get all wrapped up in their goals, dreams, and ambitions or conversely their self-hatred, compulsive tendencies, and despair. But that is equally deceptive. Just like the body, all that arises in the mind is transitory. The more attention you invest in it, the more real and solid it can seem. And the more distress comes your way. Instead of being a slave to your thoughts and emotions, spend time with the part of your mind that’s unchanging. Watch and get to know the intricacies and tendencies of your own mind. See for yourself how the display constantly changes. Be aware of the aspect of you that’s taking it all in, but has the capacity to relax and let go of all the fleeting inner and outer experiences of life. Align with your pure awareness rather than your thoughts and emotions. There’s much more to living in divine grace, but these two practices - when taken to heart - will bring you deep insight and an amazing sense of freedom. The body houses your divine essence so please do care for it and regard it with respect. But don’t go overboard. You never know how your personal karma will play out even if you drink endless green smoothies, exercise faithfully, and eat a vegan diet. Even great spiritual teachers develop cancer, strokes, and heart disease. Good health and a long life mean nothing if you don't put them to the best use. Learn to be in your pure essence now, so you’ll be able depend on divine grace as you age. Learn to identify less strongly with the body, so you'll be able to trust in divine grace when it comes time to make your passage from this physical container to whatever comes next. What are your thoughts about aging with grace? I would love to hear. 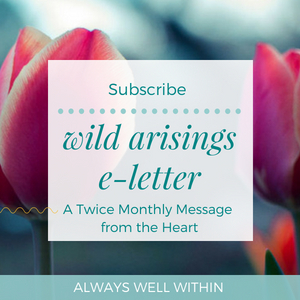 P. S. Have you signed up for my monthly note - Wild Arisings? Please do, you'll get some goodies too. Learn more here.